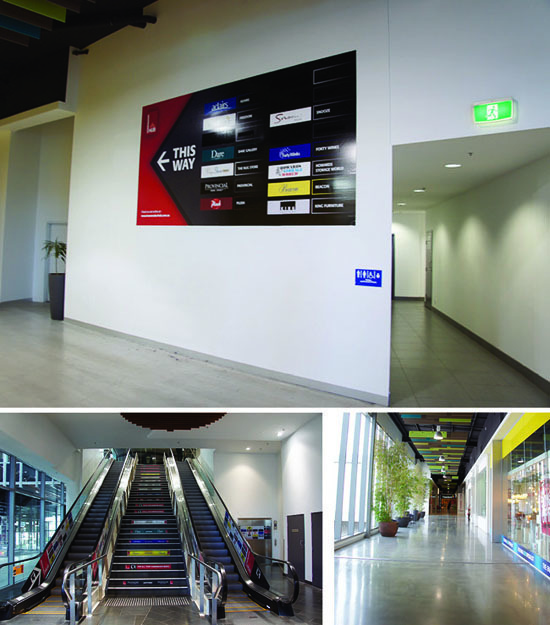 Following our successful hoarding treatments a couple of months ago (all the tenancies have been leased since our approach to selling empty space was implemented), DFO SouthWharf approached POD to devise a campaign to activate the Homemaker Mall on Level 1. Our solution was based around the message "this way up" given that a lot of visitors to the Centre failed to connect Homemaker was above DFO. Clusters of custom-made ply crates displaying "new shipments" of furniture and homewares in mix and match stories show customers how to make furniture and accessories work together. "Love a Statement Piece" is the launch campaign running throughout the month of November. 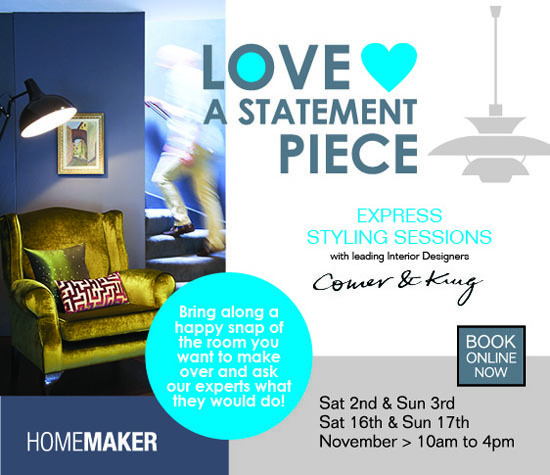 POD in conjunction with leading interior designer Cameron Comer is running Express Styling Sessions on the weekends. Cam is the interiors 'Wiz' and within a short space of time is showing customers how to re-work a room and use a couch, rug, lamp, cushion or splash of colour to create a style statement at home. New directional signage (crates with retailer logos and wall treatments), bright blue arrow treatment on stairs and the all media graphics were designed by POD and part of the upgrade package. A big thank you to all the retailers who jumped on board to supply us with some great products; our lovely client, Jess Harney, for such a fun job to work on and the tres talented Comer & King for another fab VM collaboration! FYI ... this is what the mall and signage looked like before our make over! It's an overwhelming understatement to say "Ted Baker gets what retail is all about". If they were handing out the Pulitzer to authors of 'brand experience' then Ted would have a swag of them in a heap of different categories (drama, fiction and public service for starters). Every store tells a unique and highly detailed story. From big picture thinking to fine grain detail Ted nails it at every touch point. 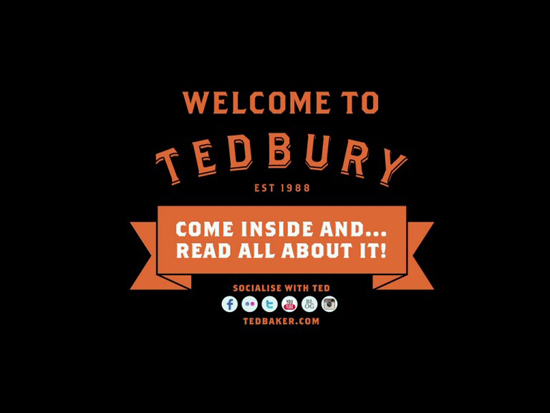 Watch "The Making of Tedbury" (the Bluewater store in the UK) and you'll understand what I'm on about. 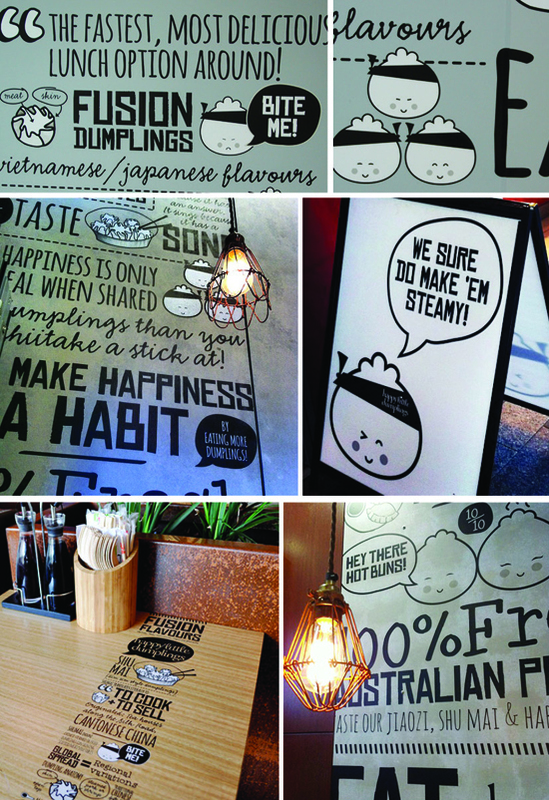 Loving the happy little graphics done by Tandem E Tandem for Happy Little Dumplings. You can find HLD in happy little locations around inner Brisbane.